Whiten teeth up to 10 shades with smileactives. Shy away from the camera because your smile is less than gleaming? Or just think your teeth look a little dull? No more with smileactives! This amazing at-home tooth whitening pen works wonders…and you can notice whiter teeth in as few as 2 days – now that’s fast. (I love any product that gives near immediate gratification that I can actually see.) In fact, it may whiten teeth up to 10 shades with one single pen. 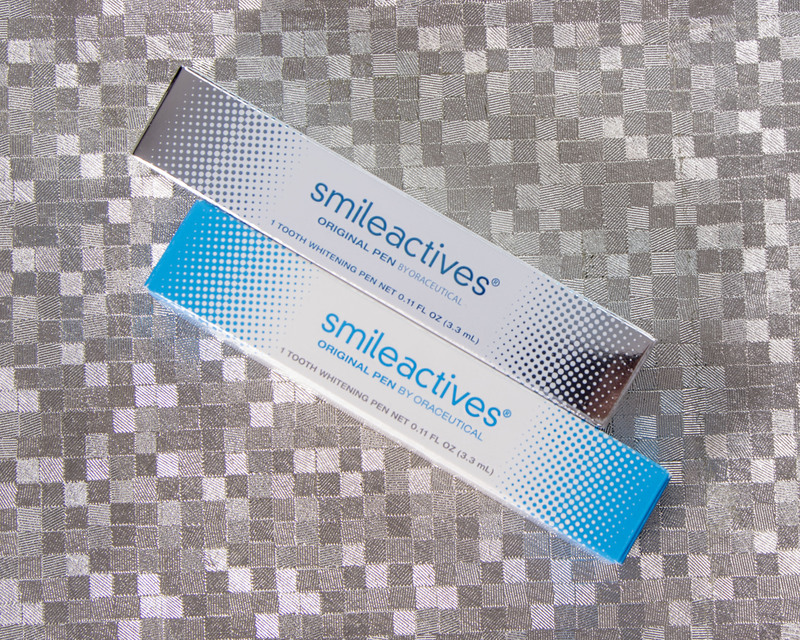 Ultimately, if you use smileactives, it’s because you want a brighter smile. It will do that. But it goes a few steps beyond. This powerful pen freshens breath and kills those yucky germs that cause bad breath. And, it’s clinically tested, so it’s safe which is really important. It’s formulated with ESP, an Enamel-Safe Penetration technology. The pen is like a paintbrush. You just brush it on each tooth and that’s it. Expect the best results when you apply it twice a day. And no worries if you’re always on the go…the smileactives tooth whitening pen will travel. Throw it in your handbag; it’s easy to use anywhere, anytime. Drink coffee, wine or tea? They can definitely contribute to a less than gleaming, beaming smile. Smileactives might be your answer. Pick from mint or vanilla mint and go ahead…show off a smiling selfie with your beautiful pearly whites! This entry was posted in tooth whiteners, tooth whitening pen and tagged tooth whitener, whitening pen. Bookmark the permalink.